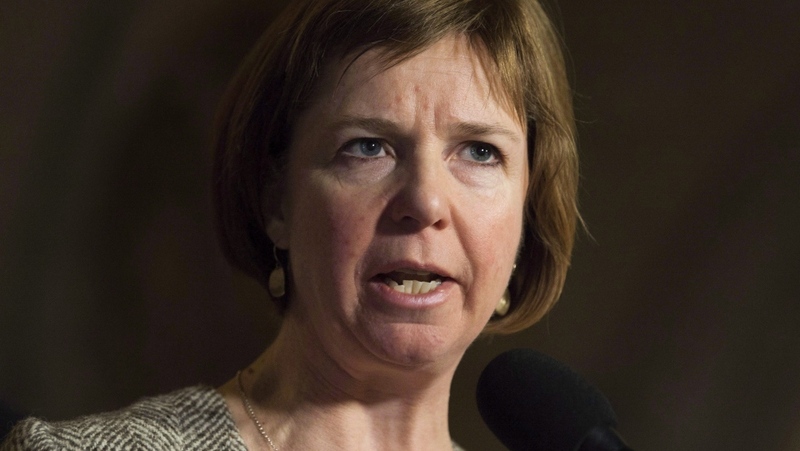 New Democrat MP Sheila Malcolmson is making the jump from federal to provincial politics as she seeks a vacant MLA position in Nanaimo. Joined by B.C. Premier and NDP Leader John Horgan, Malcolmson announced she would seek the NDP nomination for the seat left vacant when MLA Leonard Krog was elected as the city's mayor. Malcolmson said she has been honoured to be a Member of Parliament for the federal NDP, where she has served since being elected in 2015. "But the environment and housing crisis can’t wait. As an MLA in the BC government, these will be my priorities," she said. Horgan said he was excited to have a candidate of Malcolmson's calibre seek the nomination, saying she has "a proven record of getting results for the people of Nanaimo." Mayor-elect Krog also joined the news conference, saying he was looking forward to working with Malcolmson as the area's MLA. Malcolmson will still have to defeat the BC Liberals in the by-election, and leader Andrew Wilkinson has previously said he likes the party's chances. A by-election would also be called for Malcolmson's vacant MP seat if she gives it up. In a news release Wednesday, Wilkinson said potentially replacing an MLA with an MP will just cost taxpayers more. “The nomination of the current Member of Parliament proves just how much the NDP take Nanaimo for granted – putting local taxpayers on the hook for potentially not one but two by-elections at a cost of well over a million dollars," Wilkinson said. A date for the by-election has not yet been set and Krog still has to officially step down as MLA as he wraps up his provincial work in the next month.